Water is essential for most all the living organisms on the earth. While water is abundantly available on earth, pure drinking water is becoming scarce due to human activity and pollution. This has led to the present day crisis where most of the urban households and industries need to use water filtering systems to access to pure water. However, most of the population who live in rural areas cannot afford these high-cost technologies and are forced to use contaminated water. The cheapest and the most easily available filter material is cloth. Fabric material such as linen, cotton, polyester and other fabrics are typically used by villagers for filtering water. These clothes are folded into layers to be placed on top of a water pot and water is poured into it to strain out dust and other contaminants. This filter is very cheap but not that effective in removing micro-organisms and chemical contaminants of below 2 microns size. To solve this problem, water can be boiled after filtering. 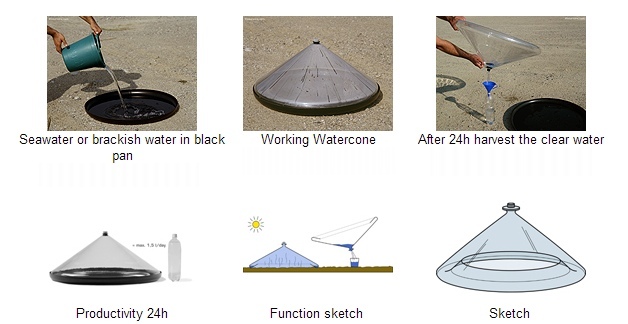 The Water Cone is a simple desalination method to get pure water from brackish water. In the purifying process, water is evaporated to remove salt and then recollected by condensation. Sunlight is the energy source for evaporation. This will produce more than 2 liters of water per day. The cone material is ultra-violet ray (UV) resistant and is made up of non-toxic polycarbonate plastic. Life span of this cone would be 5-7 years. This instrument costs around INR1500. 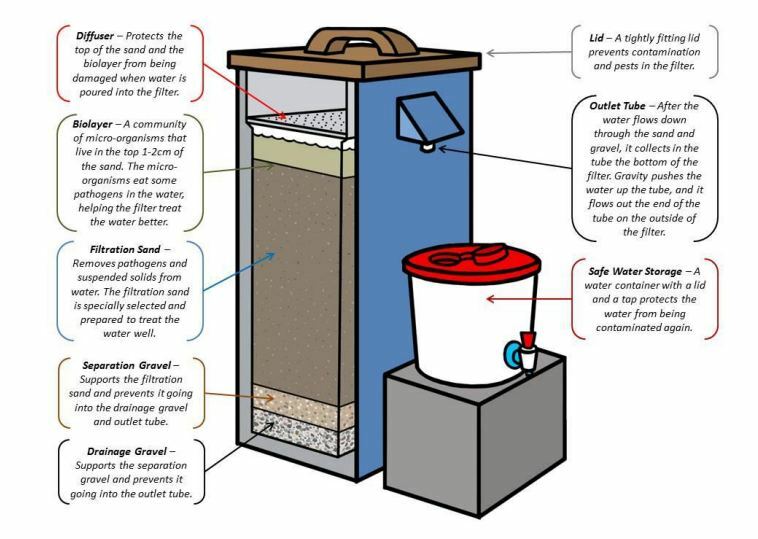 Biosand Water Filter is just a plain cement box that contains gravel, sand and a biofilm layer aligned to filter water. The biofilm acts as a filter for micro organisms. Terracotta filters are commonly used in Jharkhand state in India. It consists of river sand, red clay and wood sawdust mixture sintered at high temperature so that the plate or disk is made into a porous arrangement to act as a filter. The cost will be around 300-500 INR. 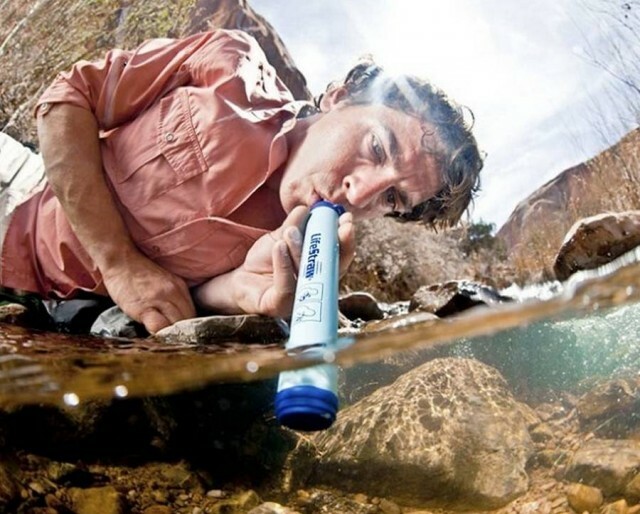 The Life Straw filter is similar to a cloth filter, but it has four different layers of filters. The first one filters dirt and sediments, while the second level is a halogen-based filter, which removes bacteria. At the third level, viruses and parasites are removed and finally, an activated carbon-based filter is positioned filter out traces of chemicals and to enhance the taste and smell of water. The instrument costs around INR180-300. It can filter up to 700 liters of water. 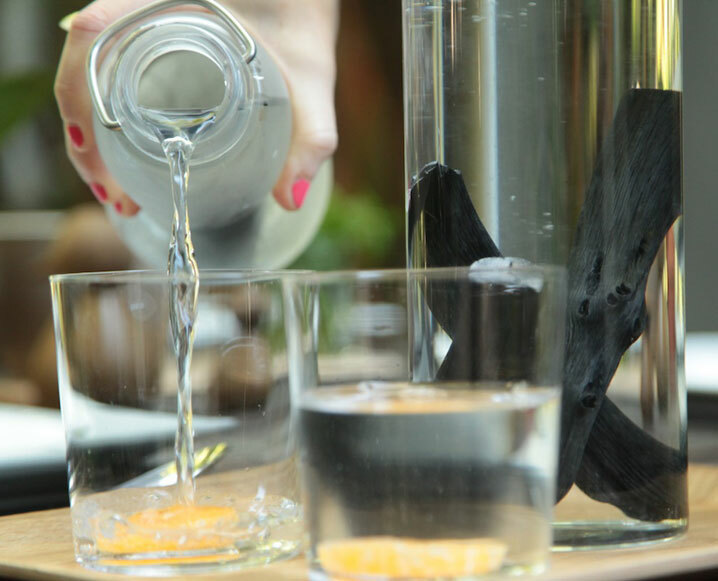 The bamboo charcoal filter has charred bamboo, gravel and natural absorbents as filtering layers. This can filter up to 30 litres of water per hour. Duckweeds are small angiosperm plants, which can be grown in small ponds to clean up the waste particles from the water. This can be implemented in rural areas where water is taken from ponds for daily usage. Copper pots have been used by ancient Indians for water purification. Ayurveda mentions that storing water in copper pot kills pathogens and purifies the water. Roots and barks of Indian gooseberry, seeds of Strychnos potatorum tree help in sedimentation of dissolved contents in the water. Nano materials are efficient in detection and removal of various pollutants like heavy metals, organisms, dissolved contents from water. Filtration methods such as photocatalysis, nanofiltration, adsorption and electrochemical oxidation use nano materials like TiO2, carbon nanotubes, nano wire membranes and magnetic nano particles. These are eco-friendly and economically feasible ways for water treatment and filtering systems. We have seen some of the technologies. Now we will look into few case studies where they have employed water treating systems for larger usage. Indian-American social entrepreneur Anand Shah is the CEO of a company called Sarvajal, under the Piramal Foundation, invented a new way to solve the water crisis by using ATM technology. In this technology, solar power is used to clean the water and also to operate the water ATMs. As we have ATM cards for withdrawing money, there is a card given to each family in the village which can be used at the time of water withdrawal from the water ATM. The company has a centralized filtration system which gets water from many villages for filtration. And people get pure water throughout the day. The filtration centers have inbuilt sensor systems to know the water availability and water required by people. Recently, a research group from IIT Madras came up with new technology for water treatment. They used a different combination of nanoparticles to make a filter through which the made is poured to filter out the dust and other contaminants. The filter has silver particles and other nano materials, which help in removing the impurities. The device can be cleaned by boiling it. In occasions, lemon juice can be used for cleaning the device. Various professors from universities across the county are finding novel ways to tackle the problem of lack of proper drinking water. Dr. A. Jagadeesh, working at RMK Engineering College, and Head of Centre for Energy & Sustainable Resources, Kavaraipettai, Tamil Nadu, designed a solar disinfectant system for purifying water. In his paper, he described how the unit was able to eradicate almost 99% of bacteria contained in the water samples, within five hours. It uses glass bottles and the microorganisms are killed by the UV radiation of the sun. Dr. P. Padmaja, M S Univesity of Baroda, is working on low-cost adsorbents for defluoridation of drinking water. Prof N. Rajesh of BITS, Pilani, and Rajasthan is also working on the lab investigation and field application towards defluoridation of water. These projects are financially supported by Department of Science & Technology, Government of India. The use of these low-cost water filter technologies needs to be publicized and create awareness about them for enabling access to pure water and lead a disease-free life. Where can one buy the watercone in india?